The “Myers Cocktail” was originally created and administered by the “Pioneer” of Intravenous vitamin and minerals, Dr. John Myers. 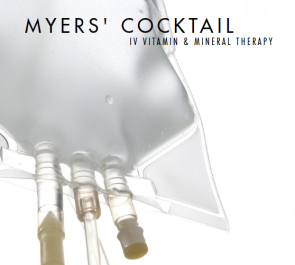 A Myers cocktail is an intravenous push that consists of a combination of vitamins and minerals. After Dr. Myers died, many of his patients continued to request nutrient injections. Thus, Dr. Alan Gaby took over the care of Myers’ patients using a modified version of the vitamin and mineral cocktail originally used by Myer. It soon became apparent that this modified Myers’ cocktail was successful at treating a wide range of conditions and disorders, generating positive results in the patients’ overall wellness. The main reasons for injecting the vitamins and minerals intravenously are to bypass digestion, so that the levels of nutrients in the bloodstream are temporarily increased and to achieve plasma concentrations not obtainable by oral administration. Thus, an increase in the levels of nutrients in the bloodsteam allows an increase of these nutrients in the cells. This gets the cells kick started and energy is produced more efficiently in those cells. 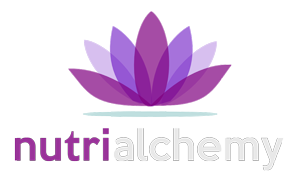 As well, various nutrients have been shown to exert pharmacological effects, which are in many cases dependent on the concentration of the nutrient. For example, at levels achievable by intravenous treatment: • Vitamin C produces an anti-histamine effect, which is useful in the treatment of various allergic conditions. • Magnesium ions promote relaxation of both vascular and bronchial smooth muscle, effects that may be useful in the treatment of vasospastic angina and bronchial asthma. The general effect of a Myers Cocktail results in an obvious improvement in the overall function and energy capacity of your cells. If your cells are functioning optimally, your ability to recover from a chronic health condition increases. Research suggests that this treatment is more effective and better tolerated than conventional medical therapies. It has been found to be effective against ailments such as acute asthma, fatigue (including chronic fatigue), migraines, fibromyalgia, acute muscle spasm, upper respiratory tract infections, chronic sinusitis, cardiovascular disease, seasonal allergic rhinitis and many other disorders. The treatment is administered in the clinic, via intravenous push, over a 20 minute time span. The cocktail typically produces a sensation of heat, especially when large doses are included. This “warming” effect is primarily due to the magnesium and the warming sensation usually begins in the chest and migrates to the vaginal area in women and in to the rectal area in men. People respond differently to intravenous nutrient therapy. Some may only need an occasional Myers Cocktail, while others may need one monthly or even weekly in order to keep their chronic condition under control. Vitamin B-12 is one of the most important vitamins that our bodies need to function at our peaks and is a main source of internal energy. Is everyone vitamin B-12 deficient? No. Is everyone getting enough vitamin B-12 from their foods? Probably not. 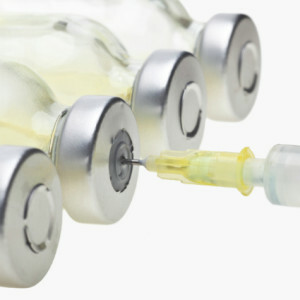 Booster shots have proven to be efficient way to get enough vitamin B-12 into our systems. Gluta what? Glutathione. It’s a word you’ll want to know. 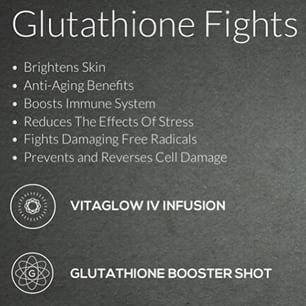 GLUTATHIONE is our body’s master antioxidant and detoxifier. Glutathione’s role is to stabilize the vitamins we take in and allows them to do their job again and again. While the other antioxidants work only at a certain part of our body, Glutathioe is needed in every part of the human body. Its deficiency makes the other antioxidants ineffective in fighting free radicals. This single molecule gets it done.